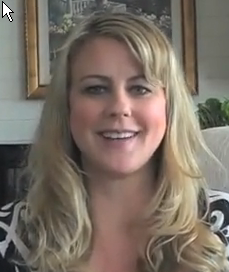 One of the vibration gurus I am getting links to is Christie Marie Sheldon or her program: Love Or Above. My muscle test shows that she has never connected directly to Source, so I assume that she got this vibration from the Planetary Ascension download, and didn't actually "earn it" herself. The question I have is how can she claim to connect you and help you raise your vibration to 520 (in my experience it is more like 526-540 where love is!) if she has never raised her own vibration. Is being a good marketer and being a pretty blonde is all people need to trust their life to someone? I wonder. Christie Marie Sheldon is just one of those false gurus that the world is full of... guaranteed to be attracting you if you are one of a kind... a fake. Previous Previous post: Why Would You Want To Be Grateful? What is Gratitude Going To Do For You? Next Next post: From my correspondence: Gratitude vs Appreciation: what is the difference?